This autumn, Jeroen van der Kooij and a team of scientists and crew from Cefas and other marine organisations are heading out to sea onboard RV Cefas Endeavour for the seventh annual PELTIC survey. In this blog, Jeroen explains what the survey monitors and why it is so important. The waters surrounding the southwest of the British Isles are home to a rich community of small midwater, or ‘pelagic’, fish. 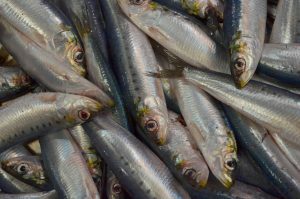 They include species like sardine, anchovy, sprat and herring which are typically found aggregated in dense schools, that can vary in size from tens to many hundreds of meters. These small pelagic fish represent an important resource for local fisheries and are key prey to other marine organisms, such as commercially important whitefish (e.g. cod and hake), seabirds and cetaceans (including fin whales). In fact, these small pelagic species play a key role in wider marine food webs, as they feed on the smallest organisms, plankton, and in turn are eaten by the top predators such as fin whales. They tend to be short-lived and create large numbers of offspring, which, combined with the fact that their main prey is sensitive to changes in the environment, means that the population size of the small pelagic fish community may change significantly from year to year. To sustainably manage these species, it is necessary to know how big these stocks are and where they are located, but also what other factors affect their growth and survival success from one year to another. What is particularly interesting from a scientific point of view is that very little research has been conducted on the small pelagic fish community in this area in recent years. The “PELTIC” (Pelagic ecosystem survey in the Western Channel and Celtic Sea) programme, originally funded by the Defra project “POSEIDON”, was developed specifically to address the gaps in knowledge around small pelagic fish and the ecosystem in which they play such a key role. It helps us to understand what species of fish, in what numbers, and how they may be used sustainably. These integrated ecosystem surveys, designed and implemented by Cefas and carried out on board the RV Cefas Endeavour, have been taking place every autumn, since 2012. The data collected has brought novel insights into the abundance and distribution of various small pelagic fish species, as well as the environmental drivers. The survey provides an annual opportunity to monitor not just the pelagic fish populations, but also the state of marine environment in the region. In fact, the PELTIC surveys has been collecting many ‘firsts’: first data on the distribution and abundance, and spawning events, of sardine (pilchard) in the northernmost limit of its distribution since the 1960s; facilitating the first stock assessment for sprat in Lyme Bay; first evidence of an overwintering hotspot for Europe’s only critically endangered seabird (the Balearic shearwater); the first fisheries independent observations on the increase in bluefin tuna in the wider area. Over the first six years of the survey’s programme, these discoveries have already revealed changes in the area’s marine ecosystems and life they support. As an interdisciplinary programme, the PELTIC surveys have been the platform for collecting valuable data on the physical, chemical and biological variables of the southwest marine environment and on its planktonic communities. This data is then used for assessments of the marine ecosystem health and for validation of models and satellite products. 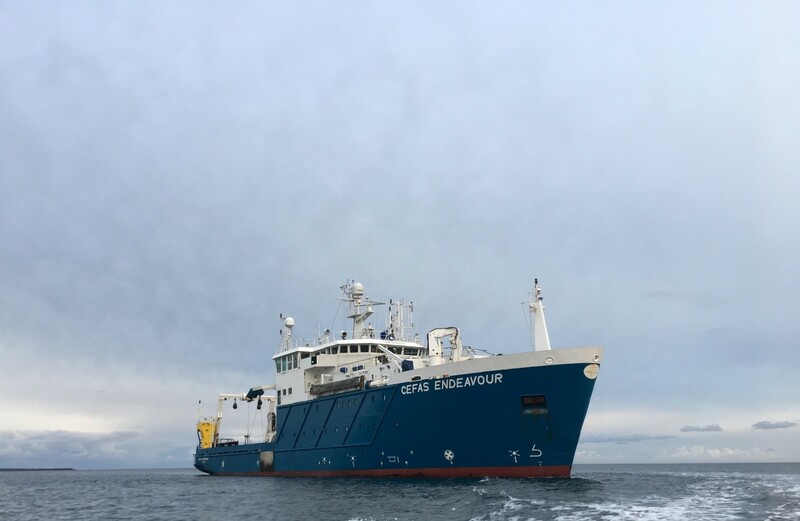 This year’s survey begins on the 6th October the RV Cefas Endeavour when a team of scientists from Cefas, MarineLife, University of Salford and Exeter University will sail from Swansea for the 7th pelagic ecosystem survey of the Western Channel and Celtic Sea. Progress on the activities carried out on board can be followed on @PelticSurveys. Jeroen van der Kooij specializes in the ecology of pelagic ecosystems, with a focus on characterizing the distribution and abundance of mid-trophic pelagic species in relation to the physical, chemical and biological environment. He designed the PELTIC survey and has been scientist in charge in since the first pilot survey in 2011.